Very happy with our 2 night stay. Large and comfortable room with all amenities. Good service. Quiet. Enjoyed our stay. HI,it was very good but ,mostly we liked very much the staff attention and kindness towards us.... ken and ,especially Erik where so friendly and helpull to us. Gracias amigos!!! Good apart from being woken by noisy people walk past my door.. But that isn't the hotels fault. 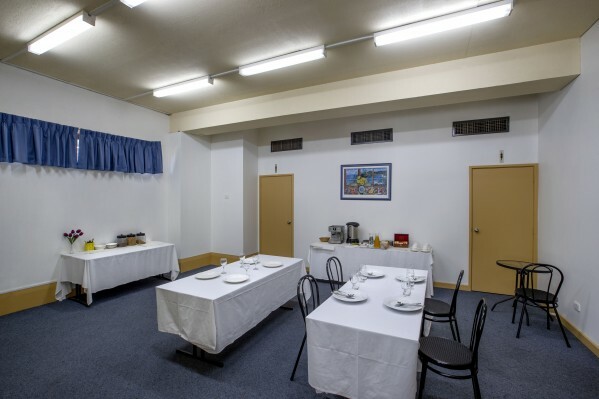 Located close to Latrobe University so perfect for our overnight stay to attend Graduation ceremony at the University the following morning. Staff assisted with a hairdryer when there was none in room. The staff were very friendly.. I have stayed there a few times now and I find it overall very good..... I'll be back again.... You pay for what you get and I was very happy with the room I had thanks so much again see you in two weeks ???? We felt very welcomed and were suprised by the generous proportions of our 3br family room. The age of the facility was apparent in the bathroom and kitchen. Everything was very clean and smelt pleasant so we felt very comfortable. We found all the utensils and dishes we needed to be anle to make meals for the children. The front of house staff were very friendly and made the stay extra enjoyable. reception very welcoming, bed room and bathroom and toilet are clean enough. Closed to get food, day to day needs, public transportation. Very friendly and helpful staff, the bed was comfortable and the room was very clean, I would not hesitate to stay with you again. Very useful location for the uni. Very good value and a very comfy bed! Great service too! Was very helpful for us to stay close to the place where we had the function . Good value for money providing us with the comfort we needed. Thanks for your rating, wish to see you next time! Very friendly and went out of their way to help us!! Thank-you, the location was perfect for the schools state cross country event. Thank you for allowing me to leave my car in your overflow car park. Overall, value for money. I will be suggesting to family & friends to stay there. This will e the place where we stay from now on when travelling & staying in Melbourne. The only reason why I gave that rating for the cleanliness was because the room smelled quite strongly of stale cigarettes (and I'm not a smoker) - but other than that I was very pleased with the cleanliness of the room. Everything was good except had to have a lukewarm shower the morning we left, husband had a hot shower the night before. Good comfortable night with good staff flexibility. Good value for money and convenient for travelling to La Trobe university. Staff were helpful. Good value. Tired decor, but clean and functional. Probably almost 3 stars out of 5. I was pleased with our stay although it took a while to get used to the noise of the traffic as we are from the countryside. I would recommend your motel to friends. I fully enjoyed my stay, I love the care that was taken to ensure I was not only safe, but also I was given the same room I had had last time I stayed and it felt like home away from home. Thank you for everything. I will be back. It was comfortable and the price was very good. 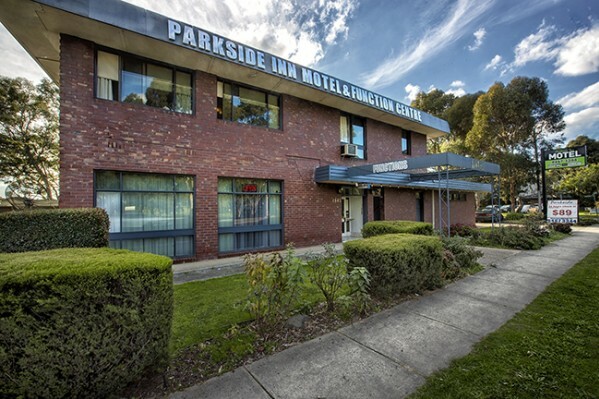 Parkside is an older motel and is a little tired. It is in good order and my stay was quite comfortable. Staff were very helpful and breakfast was very good. I did not expect a five star motel and would stay again.